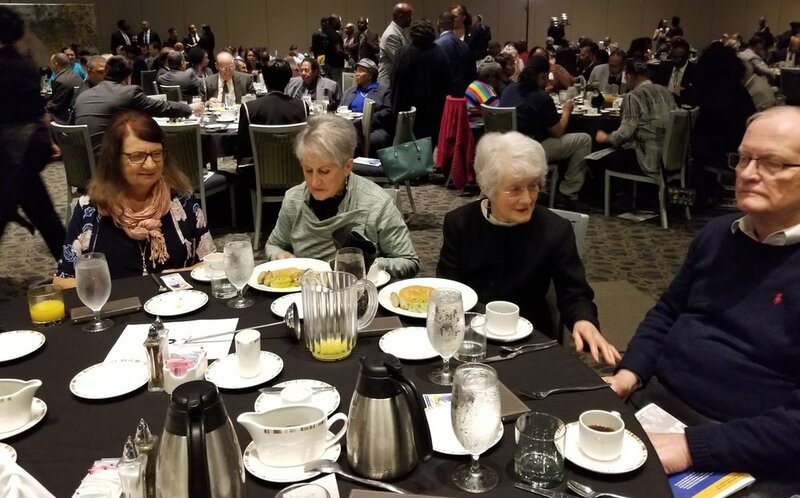 On Friday, 18 January 2019, Grace’s own Marlene Haller was presented with the 2019 Martin Luther King Jr. Living the Dream Award for her outstanding contribution to the Phoenix community through her volunteer efforts. 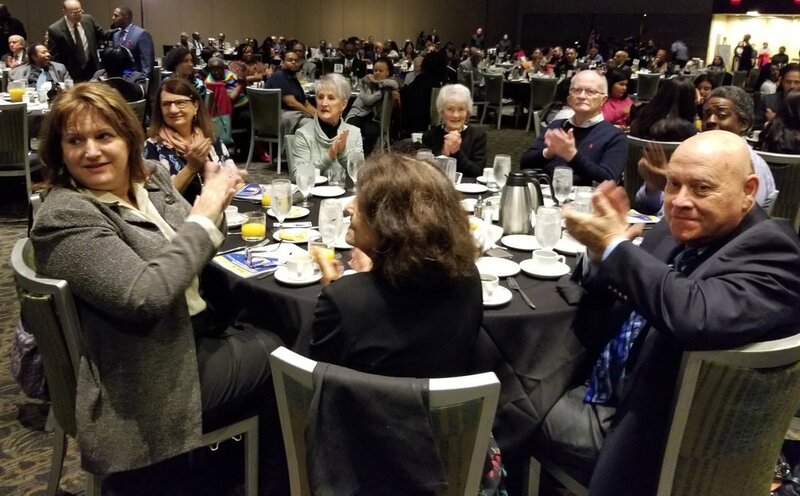 Each year, the Phoenix Human Relations Commission, in collaboration with the Phoenix Equal Opportunity Department, recognizes the accomplishments of people who have made an impact on the quality of life of Phoenix residents and contributed significantly to creating a compassionate and socially just community with the Dr. Martin Luther King Jr. Living The Dream Awards. 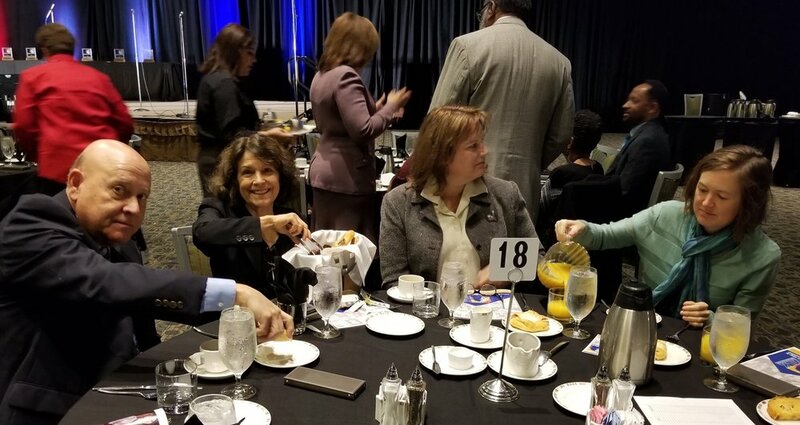 Marlene was one of 7 honorees who received the award at a special Awards and Scholarship Breakfast attended by more than 800 people at the Phoenix Convention Center on Friday morning. 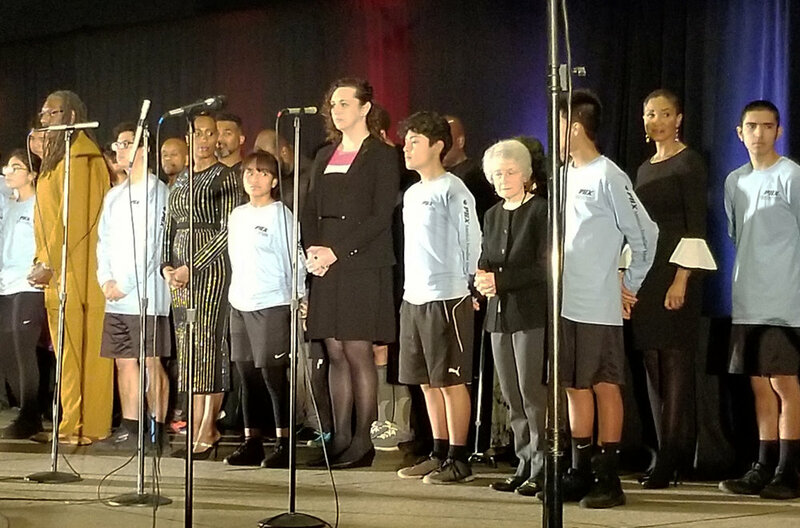 She and the other honorees were escorted to the stage by honorary MLK torch bearers. The awards were presented by Phoenix City Councilwoman Laura Pastor and MLK Celebration Committee Chair Gene C. Blue. Marlene gave a brief and very gracious acceptance speech. All who have ever known or worked with Marlene agree that she truly exemplifies the spirit behind this service award. 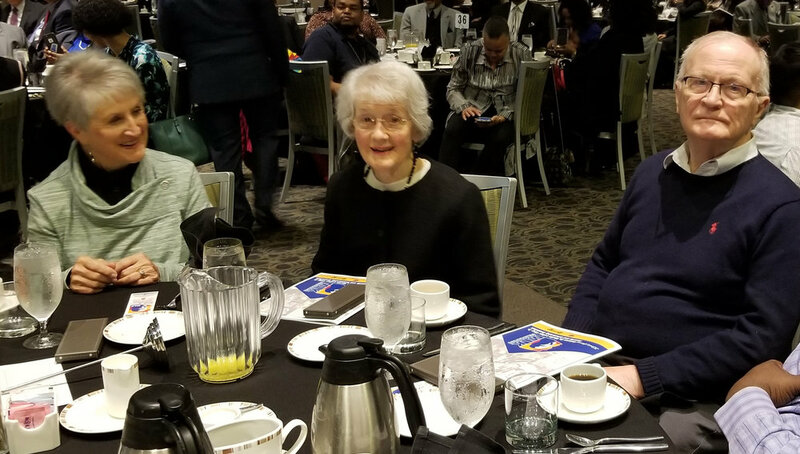 “If you see Marlene Haller with her hat on, trotting across Margaret T. Hance Park, she is probably on her way to Grace Lutheran Church,” wrote Katherine Roxlo in her nomination (reprinted in the awards program). “Marlene helps to feed the needy at the church because there is ‘Grace in the City.’ Although Heat Respite is during the summer, the other months they serve Monday morning breakfast and Wednesday dinner each week. She has been married to her husband Jim for more than 59 years. They raised two sons and two daughters in Milwaukee, Wisconsin, and have nine grandchildren — all who have brown skin: Korean; Sikh Indian; and African American. The couple also hosted foreign exchange students from Switzerland, Italy and Palestine. Marlene, number 10 of 15 children in her family, was raised on a farm in southwestern Minnesota. She spent most of her career in the banking industry, yet her skill sets include: milking cows; gathering eggs; tending the garden; assisting with the laundry; and yes, even spreading manure. Volunteers Katherine & Ron Roxlo and their neighbor, Fran Blundon, also a volunteer, nominated Marlene for the honor. We congratulate Marlene on receiving this prestigious award. We are proud to know you!